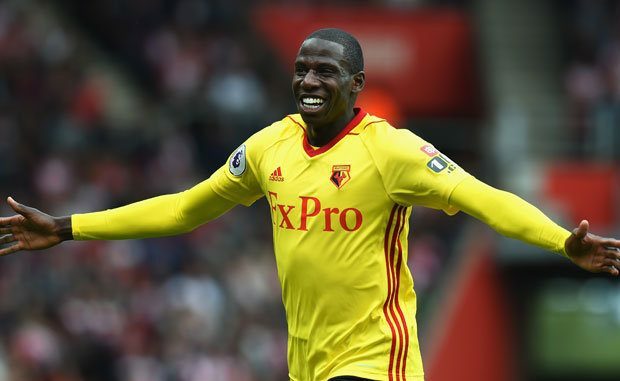 The Ligue 1 giants Paris Saint-Germain have reportedly joined the hunt to sign Premier League side Watford defensive midfielder Abdoulaye Doucoure during the January transfer market, according to the latest reports. Doucoure has previously been connected with Everton, where the star would be reunited with one-time Watford boss Marco Silva, while Arsenal and Tottenham Hotspur have also been touted with an interest in the past. A British daily tabloid newspaper The Daily Mail reports that Ligue 1 champions are now also tracking the 25-year-old midfielder ahead of a possible £30 million move next month. Doucoure has proved himself as a key player for the Hornets over the past season-and-a-half, netting nine goals and creating eight more in the English top flight alone during that time. Be the first to comment on "Medical booked? PSG join Arsenal in chase for £22.5m-rated PL defensive midfielder"